Coaches and players are often talked about, not always because of their on-field performance, but also for comments made off the pitch. Below are some of the most memorable ones from the one-month tournament. "Come to your senses, people. He's not a hero, he's a trivial cheat. What hand of God? It was the hand of the devil," Ghana's Serbian coach Milovan Rajevac said about Uruguayan striker Luis Suarez who stopped a goalbound shot with his hand on the line in the last minute of extra time in their World Cup quarter-final. 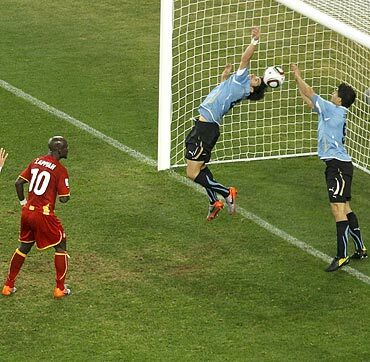 Suarez's "Hand of God" denied Ghana the prize of becoming the first African team to reach the last four of a World Cup. "We feel like a small footballing nation and it hurts. There's nothing to say other than it's a catastrophe," France captain Patrice Evra honestly summed up the embarrassing display from the 2006 World Cup runners-up. France not only came bottom of a group they were favourites to win, but also created an unseemly side-show with their protests at the expulsion of striker Nicolas Anelka. "They don't want to train, it's a scandal. I'm resigning, I'm leaving the Federation. I have nothing more to do here. I'm going back to Paris," France team director and French Federation managing director Jean-Louis Valentin who was as good as his word after the French team boycotted training over "Anelka-gate". The French sports minister described the team's senior members as "immature gang leaders". "This was (like) a punch from Muhammad Ali. I have no strength for anything. 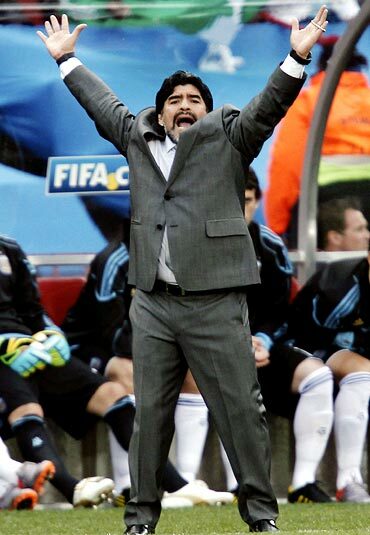 The day I quit playing football could (have been) similar but this is much harder," Diego Maradona said after Argentina's 4-0 thrashing by Germany, their worst defeat at the finals since a 6-1 rout by Czechoslovakia in 1958. "We always have to win but even when we win, they are not happy because we didn't put on a show. If we put on a show, they are not happy because we didn't score six or seven goals. If we score six or seven goals, then they say that the opposition was no good," said Brazil coach Dunga, claiming media are just never satisfied. "When they show highlights from 1970, all you see are the good parts. From 1958, they just show the good parts, and from 1962, they also just show the good parts. If we take the current Brazilian team and just show the best bits, fans will think it's a spectacular team. But today, they show as many negative moments as good ones." Dunga claims Brazil's memorable 1970 team was not as good as it looked on the television. 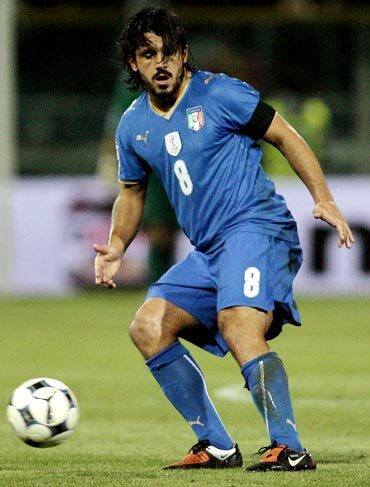 "Four years ago we were hailed as champions, today we are playing like billy goats," Italian midfielder Gennaro Gattuso said in an unusually brutal honest assessment of the defending champion's dreadful showing at the tournament which saw them finish bottom of their group. "He can't take charge of his own children. 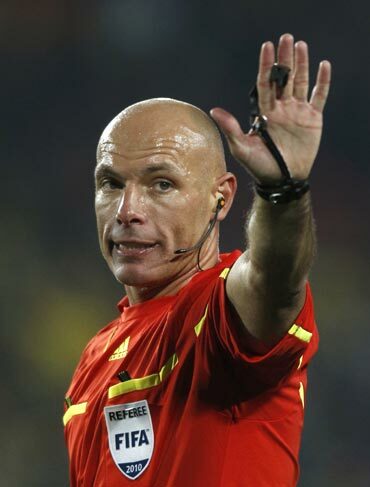 I don't know how he manages it on a football pitch," wife of World Cup final referee Howard Webb said ahead of the last match. "Goals, as a football legend once told me, are like ketchup ... sometimes as much as you try, they don't come out, and when they come, many come all at same time," said the world's most expensive player Cristiano Ronaldo ahead of their group opener. Ronaldo's performance in the World Cup was lacklustre at best, with the striker scoring one goal only. "Absolutely nobody can do it like me! Mine was the first one, totally improvised. You need natural rhythm, movement of the hips. It is all about spontaneity, and it has to be personal, your own thing. Of course, you also have to score a goal first, don't forget!" said Roger Milla of his hip-shaking goal celebrations. 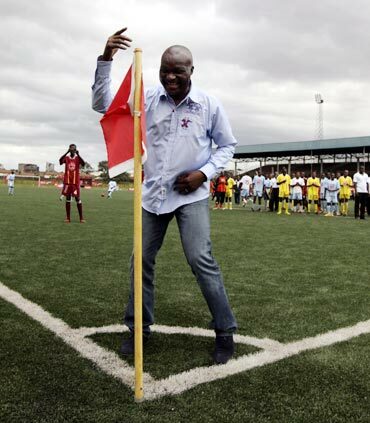 Milla's corner-flag dance routine was as famous as his goals for Cameroon when they reached the 1990 quarter-finals. "England invented football but Germany win it" -- says an old joke used during the World Cup to describe Germany's humiliation of their old foes when they beat them 4-1 in the second round. "I'm an old romantic. People may think I have a bad face, but I like to send cards and flowers to my wife and I like to receive them as well," Brazil hard man Felipe Melo says he is not such a bad guy after all. "I know that sometimes I go over the top. It's something I've been thinking about a lot and I know it's something that all Brazilians are worried about. My father is always on my case about this, he won't stop reminding me," said Brazil midfielder Melo before the World Cup on the importance of not receiving a red card. 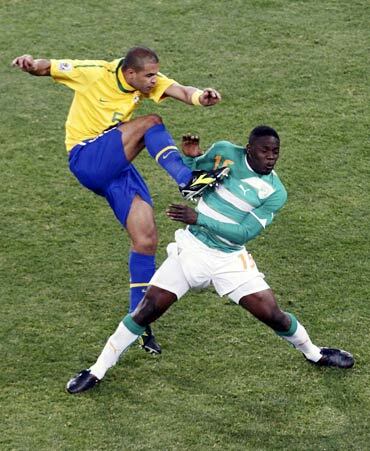 He was later sent off in the quarter-final against Netherlands for stamping on an opponent. 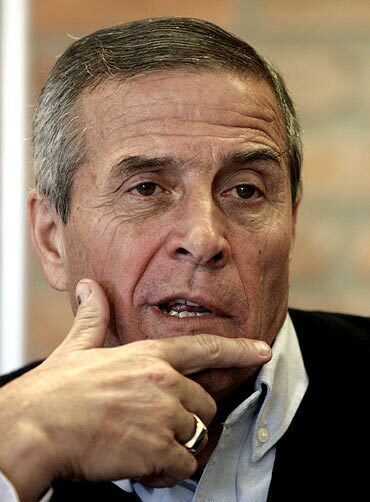 "Football is like a short blanket, it either covers your head or it covers your feet," Uruguay coach Oscar Tabarez said about South Korea's defence problems ahead of beating the Asians in the knockout stages. 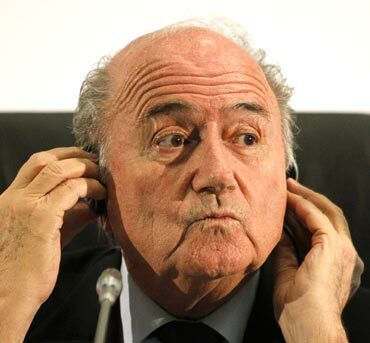 "It would be a nonsense not to re-open the file on goalline technology," said FIFA President Sepp Blatter after referee howlers against England and Mexico. "Well, it's an octopus," said Spanish defender Carlos Marchena in a stony-faced manner when asked what he thought about the octopus' prediction that Spain were going to win the final. 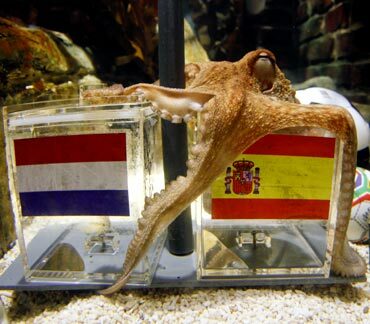 The celebrity octopus named Paul picked the outcome of Germany's seven World Cup games by choosing food from two containers with different flags on them. "We all learn from mistakes which we make and from mistakes which we have seen other people make, and we try to avoid making them. This is the process of making a mistake and avoiding making it again, seeing how others make mistakes to avoid making the same mistake, it's a process which is not stable, nor can it be measured." 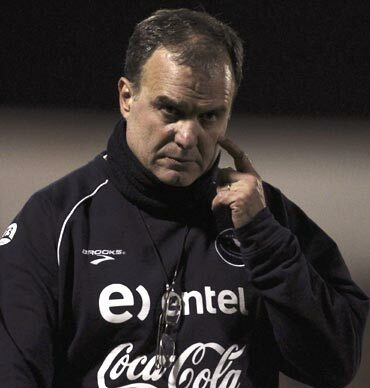 Chile's incomprehensible coach Marcelo Bielsa on the importance of learning from mistakes.